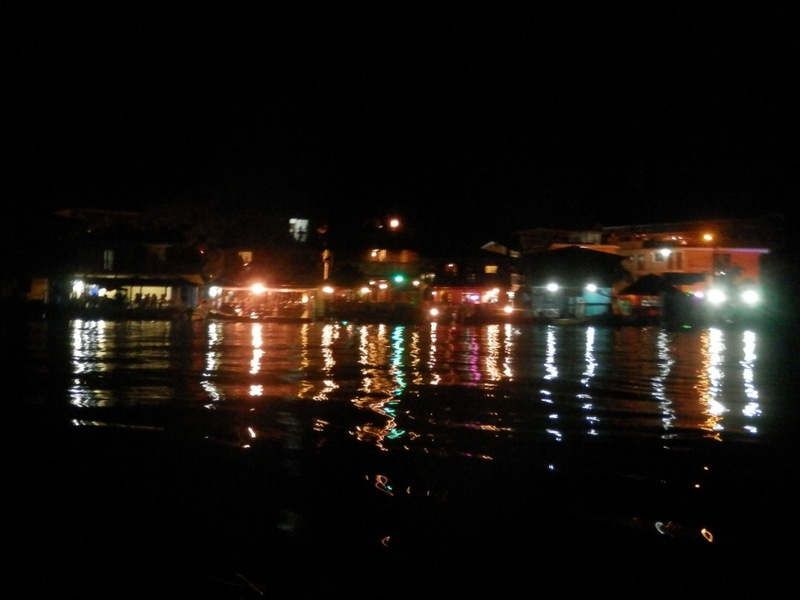 Highlights: Night Water Taxi with no lights and Festival Time! After a night listening to the local music played until 3 am today was a day to ‘sleep in’ and enjoy my room overlooking the ocean. This town is definitely a party town based on last nights activity and the fact almost no one was up doing anything in the morning. I spend a good proportion of the day strolling around town looking for possible gifts for family members. The rest of the was spend of the back balcony reading and sleeping. For dinner tonight we decided to take a water taxi to another island. The taxi was easily a highlight as we moved though the ocean (but protected) without any lights. My senses were definitely on high alert! Returning to the main island several of use went to the main square to enjoy the local festival. The men doing tricks with fire being a major highlight. The main part of our group was staying across from this square so I’m not sure how much sleep they will get. After purchasing some local ie dreaming sat back and watched the festival while the hotel dog watched me hopefully (but without luck) that I might give him my ice cream. 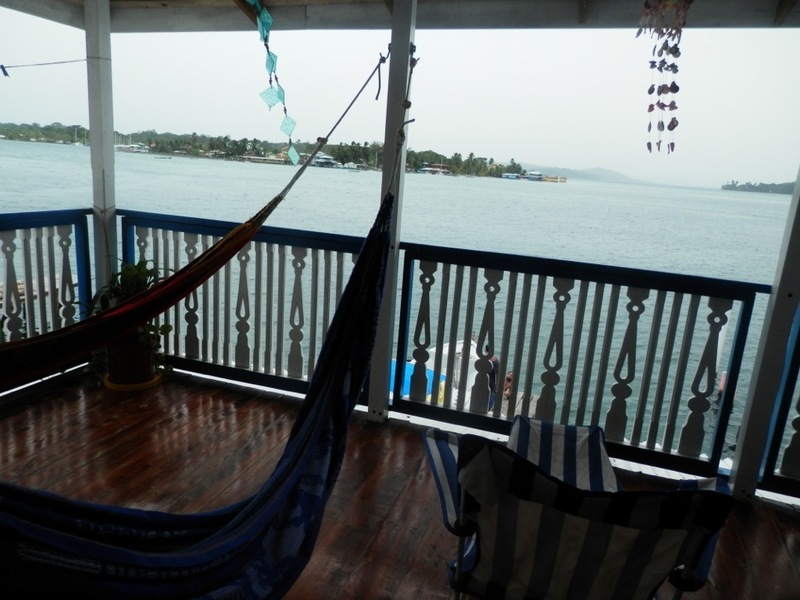 This entry was posted in World Trip 2012 and tagged Panama, PanamaExperience. Bookmark the permalink.